Keeping your head out of the clouds and your feet on the ground might seem like a great idea but it does not help keep your roof clean. It is easy enough to rake leaves up out of your yard but sweeping clutter off of your roof is much more difficult. Humans are not normally keen on swinging from vine to vine but our Gorillas are not afraid of heights. 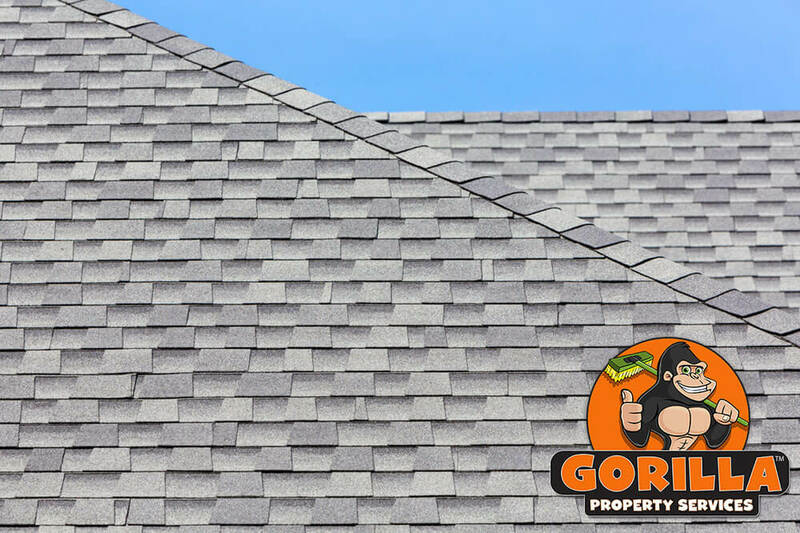 Instead of letting the surface of your roof slip your mind, let our Gorilla technicians worry about it for you. Proper Lethbridge roof cleaning and moss removal is only a phone call away. The fear of heights is not only common in Canadians, it is completely rational! Spending time on your roof can be a terrifying prospect for anyone. One wrong move can lead to a rather nasty fall. 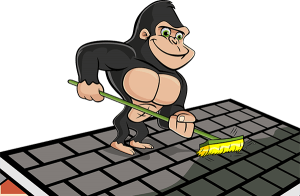 That is why you should leave your Lethbridge roof cleaning and moss removal to our Gorillas. The first step to an proper roof maintenance safety. Instead of simply climbing a ladder and beginning to clear away clutter, our Gorillas use proper tie-offs and safety measures to ensure that our technicians can work safely and effectively. Once our Gorillas have found their footing, photos are taken so that our clients never have to be out of the loop. We don’t like to brag, but before and after photos do all the talking for us! Removing loose clutter is the first step toward a clear roof. By getting rid of these obstacles, our Gorilla technicians have a clear view of the greater condition of your roof. This process, however, does not stop by just picking up debris, it must be taken away as well. If moss is present, it should be removed as quickly as possible. If moss is allowed to sit on damp surfaces, it spreads quickly and can squeeze under shingles. Moss might be pretty but it is also destructive. Once it finds its way under the outer layer of shingles, it begins to pull them away from the decking underneath, allowing moisture into the lower layers of your space. This means damaged decking and the wearing away of materials. It is a good thing that our Gorillas offer local, timely services to the Lethbridge area.